The Ferguson Commission: Change agent or spinning wheels? You have to admit that as detailed above, the Commission has been given a very big task. I’m sure that the members of the Commission are all able and dedicated people and perhaps the Governor will give them a realistic, focused charge with a set of clearly delineated deliverables. And if he doesn’t, perhaps they’ll do it for themselves. Certainly, there are lots of big issues that have to do with race, class and demographic change that need to be addressed in the St. Louis area. However, I’m not sure that sixteen folks working over six months to a year, as the Governor has described the timeframe, will provide the key to solving them. It did occur to me, though, that six months to a year is time enough to let emotions raised by the Ferguson killing cool somewhat while folks are told that their problems are being addressed somewhere off-stage. The Commission allows the Governor to claim that he is serious about change while at the same time leaving him more immediately free to pander to those who want a punitive, authoritarian response to Ferguson unrest – which the Governor signaled he intended to provide when he prematurely called out the National Guard. 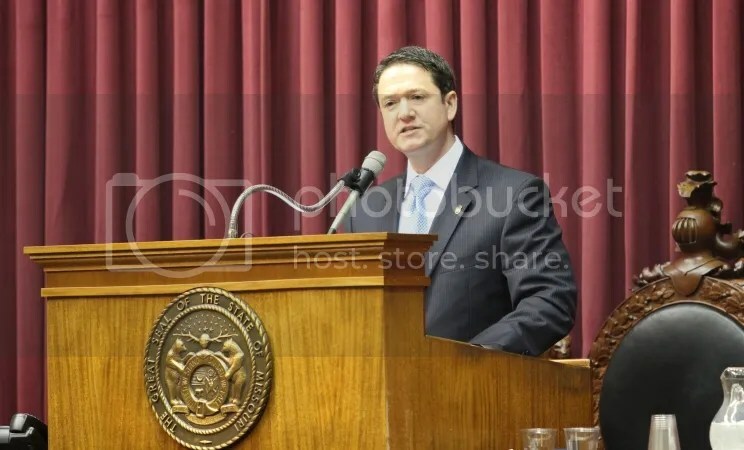 Nixon, like County Executive Steve Stenger who felt the need to stand in tandem with a county prosecutor tainted by a pereption of bias, knows who butters his bread – or thinks he does – and wants to make it clear to Missourians who seem to harbor unrealistic fears about the extent of the Ferguson protests that strict disciplinarian Daddy Jay won’t take no back-talk from uppity protestors. It will be a shame if this Commission ends up as yet another missed opportunity because there is a very real, very specific problem that needs to be effectively addressed by just such a group: police and minority relations. It is this topic that seems to me to lie at the heart of the uproar in Ferguson. And it’s not a little topic; it comprehends overt bias, police brutality, and the disrespectful exercise of power over folks who have little or no recourse against what they perceive as unfair, oppressive police. There are cultural misapprehensions on the part of both police and minority citizens that have to be expunged if our police forces are to be effectve in keeping the peace and combatting crime and we need to addres this divide if we want to see change – and unlike other the more global problems of racial relations, this issue is amenable to fairly rapid change if we give it the focused attention it needs. Of course, the Justice Department is currently conducting a review of Ferguson police practices. However, the federal effort does not obviate the need for a local examination of policing problems that should be widened to cover the entire county and take into consideration issues relating to potential consolidation of County resources. It should be possible to work cooperatively or build on the federal efforts. In the context of the DoJ review, it is worthwhile to note that its leader, Christy E. Lopez, has researched issues surrounding the the breakdown of police authority in minority neighborhoods, concentrating on “the ‘widespread’ problem of cops illegally arresting citizens simply because they perceived them as disrespecting their authority, which has been a common occurrence in protests in the St. Louis area over the past two months.” It’s espeially pertinent since video recently surfaced of the police officer at the heat of the Ferguson protests, Darren Wilson, throwing his official weight around in just such dishonest and disrespectful fashion. This fact alone suggests that the findings of the federal probe could profitably be mined to create an action oriented charge for our local Commission that might go a long way to changing the dynamics of police community relations in Ferguson and elsewhere in the St. Louis Metro area. I am not suggesting that the bigger issues that devil race relations in the St. Louis area do not need to be addressed, just that we need to be smart about how we go about doing so. Making sure that goals are stated in concrete terms and can broken down into bites that are small enough to be easily digested is usually a good way to get something useful from a group. Overlarge, vague charges usually beget overlarge and vague recommendations that go nowhere and it would be a shame to see that happen this time. Speaker Tim Jones (r) [file photo]. And that’s just part of a longer exchange. 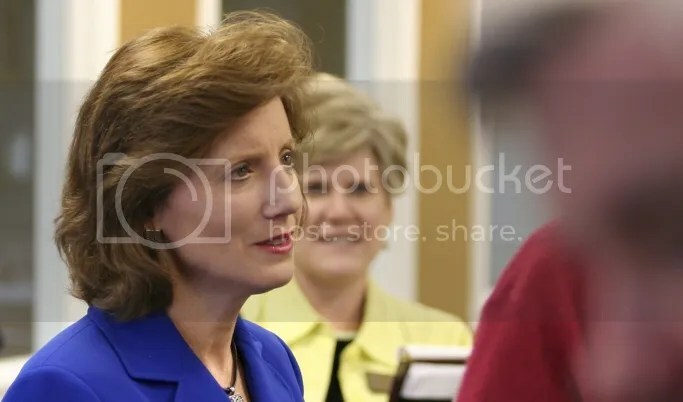 Representative Vicky Hartzler (r) [file photo]. Ouch. It’s a cold, cold world. You can also ignore Presidents Reagan, Bush I, and Bush II. Now, now, that’s unfair. He just probably thinks the rest of us are gullible idiots. ….In summary, the Committee first concludes that the CIA ensured sufficient security for CIA facilities in Benghazi and, without a requirement to do so, ably and bravely assisted the State Department on the night of the attacks. Their actions saved lives. Appropriate U.S. personnel made reasonable tactical decisions that night, and the Committee found no evidence that there was either a stand down order or a denial of available air support. The Committee, however, received evidence that the State Department security personnel, resources, and equipment were unable to counter the terrorist threat that day and required CIA assistance. Third, the Committee finds that a mixed group of individuals, including those affiliated with Al-Qa’ida, participated in the attacks on U.S. facilities in Benghazi, although the Committee finds that the intelligence was and remains conflicting about the identities, affiliations, and motivations of the attackers. Fourth, the Committee concludes that after the attacks, the early intelligence assessments and the Administration’s initial public narrative on the causes and motivations for the attacks were not fully accurate. There was a stream of contradictory and conflicting intelligence that came in after the attacks. The Committee found intelligence to support CIA’s initial assessment that the attacks had evolved out of a protest in Benghazi; but it also found contrary intelligence, which ultimately proved to be the correct intelligence. there was no protest. The CIA only changed its initial assessment about a protest on September 24, 2012, when closed caption television footage became available on September 18, 2012 (two days after Ambassador Rice spoke), and after the FBI began publishing its interviews with U.S. officials on the ground on September 22, 2014. Fifth, the Committee finds that the process used to generate the talking points HPSCI asked for – and which were used for Ambassador Rice’s public appearances – was flawed. HPSCI asked for the talking points solely to aid Members’ ability to communicate publicly using the best available intelligence at the time, and mistakes were made in the process of how those talking points were developed. Finally, the Committee found no evidence that any officer was intimidated, wrongly forced to sign nondisclosure agreement or otherwise kept from speaking to Congress, or polygraphed because of their presence in Benghazi. The Committee also found no evidence that the CIA conducted unauthorized activities in Benghazi and no evidence that the IC shipped arms to Syria. There go the right wingnut conspiracy theories. House Speaker John Boehner (R-OH) announced today plans to establish a select committee to investigate the September 11, 2012 Benghazi attack that killed four Americans. House Republicans expressed resounding support for the Speaker’s decision, and took to Twitter to spread the word. Interesting silence. You were expecting something else? Senator Claire McCaskill [file photo]. [….] I can’t believe I voted for you. I’ve never voted republican in my life. [….] When did you become a republican? [….] When you give the voter a choice between Republican and Republican-lite, they’re going to choose the full-flavor choice. [….] Congress does need to get to work and pass an immigration bill but we all know that isn’t going to happen as long as we have the current president because the republicans will pass nothing. Until we have a comprehensive immigration bill the executive action is the best solution! I am highly disappointed in you lately Claire! [….] A “yes” vote for Keystone and now this, Claire? I wish we had more Bernie Sanders in office. [….] Well they haven’t done a thing! So I support whatever Pres. OBama feels he needs to do. The GOP already want to jump down his throat, funny how they didn’t do that with the Bush presidents or Reagan when they use executive orders!!! You should be supporting him also Claire. [….] I am really concerned by this trend you seem to be displaying to be at odds with everything that the president has been attempting to do! I worked hard in past election cycles to get you re-elected here in my home town, and I am really regretting my decision to do so! Please, if you are so afraid of losing your senate seat, that you don’t back the president that we, YOUR CONSTITUENTS, elected, then at least have the decency to tell us about your change of party affiliation! [….] In a prior interview, around 2011, you stated “If my walk doesn’t match my talk, shame on me and don’t ever vote for me again.” so, I will take your advice. [….] You can tell it is coming to an election cycle. We did not elect you to be on the right. Stand up for Democratic values! [….] Claire, deeply disappointed in you. Your principles are no longer mine. You have lost my support, both financially and my vote. [….] Claire, I have recently lost respect for you. You just confirmed why. [….] I support the President on this issue. Sick of a do-nothing congress. [….] Hmmm sounds like a republican answer. Time to vote in a democrat. [….] 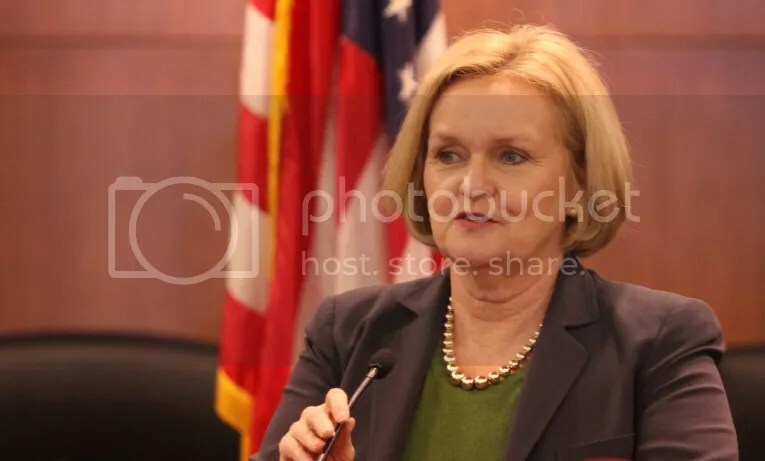 Senator McCaskill, I have always been a strong supporter of you, but after reading this post and realizing that you no longer stand for the people, nor do you support OUR President, I will be withdrawing all support for you. You have become too much like the far right, perhaps you have been bought by special interests like the rest of Congress, but your behavior (not to mention the behavior of Congress in general) is inexcusable. Shame on you and many of the Democrats. Don’t you understand that your non-support of the POTUS is part of the reason why we lost in the mid-terms? Despicable. I will certainly be finding a new Democratic candidate for my vote next election. [….] President Obama has already tried to work with Congress and you have already seen what has happened on immigration. He is creating action and helping to eleviate a problem. You should be supporting his efforts!! [….] We no longer care about what you think, Claire. Not after you sold us out for KXL. [….] Senator McCaskill – Take a peek at Senator Elizabeth Warren’s post tonight. That’s what a true Democrat looks like. I’m very disappointed in you. [….] And the hits just keep coming. I am officially not following your feed anymore and you have lost my vote when you decide to re-up for Senate or for the Gov. of Missouri. You know good and well why he had to do what he did. You are now part of the problem in my view… Quit pandering for vote, it doesn’t suit you. [….] When did Clair become a repubican? [….] I disagree. Nothing will ever get done that way. I support my President and so should you. [….] President is doing what has to be done and that’s why I support him. [….] Claire, they haven’t passed anything – I’m proud our President is taking legal action to get it moving. Be careful you’re leaning the wrong direction! [….] Claire, trying to be a centrist for the sake of being a centrist does not a centrist make. Do you actually believe the Republicans are going to bend one inch for the likes of you if you pander to them? [….] This is great if you live in la-la land where the current House is capable of passing any sort of solution on immigration. Yes, they should “quit stalling, get to work, and do their jobs.” — but you know full well that is not going to happen. So when the chips are down, Claire, where do you really stand? I’m so tired of your ‘bipartisan’ platitudes. Families are suffering because of our broken system. 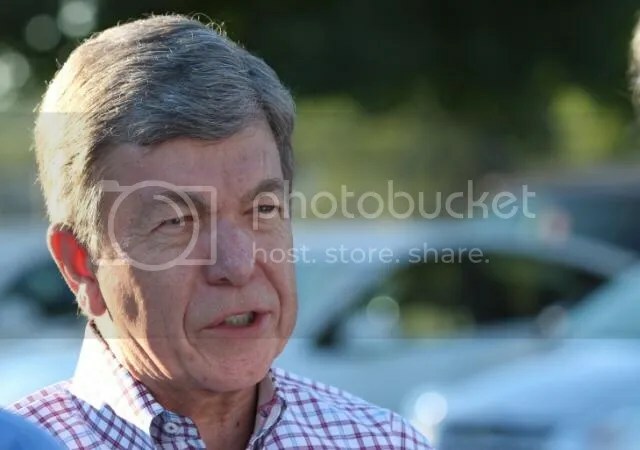 You are part of the problem and I wish Missouri had a better Democrat representing us. [….] Wow, I remember a time when you dissed Clinton and jumped into Obama’s camp…. why don’t you just turn republican? [….] I support the President. [….] You’ve become a truly lousy senator. I hope someone runs against you in your next primary. You are a political coward. [….] Stop your nonsense and get on board with our President! [….] Claire, what planet do you live on? If the last House couldn’t agree on immigration, what makes you think the next (more Republicans, more conservative) House can agree on anything? [….] What is WRONG with you Senator??? Congress has had its chance. It is most certainly time for executive action. 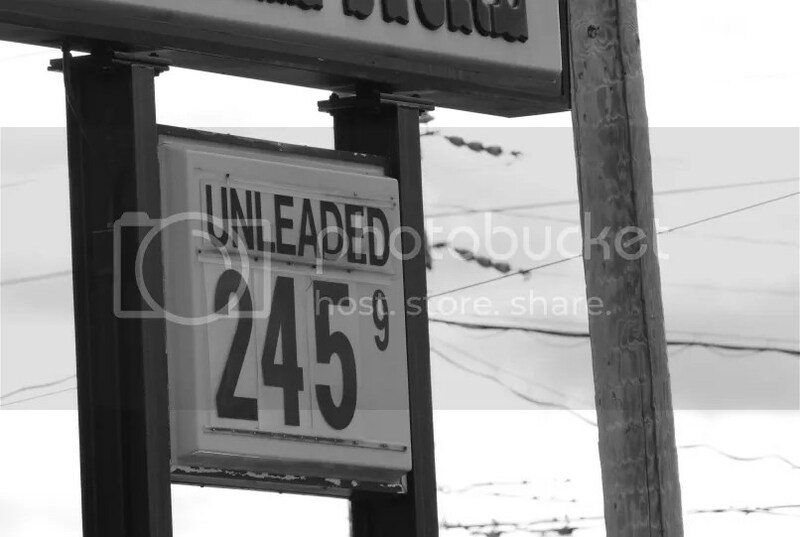 Between this and your pipeline vote, I have to ask: who bought you?? [….] Such a disappointing response from you! You too run away from a President who has accomplished so much with a worthless Congress and such lack of disrespect I am disappointed in you as a Senator. And there were several hundred more comments. By all means, keep bleeding off the base. But today, our immigration system is broken — and everybody knows it. I want to say more about this third issue, because it generates the most passion and controversy. Even as we are a nation of immigrants, we’re also a nation of laws. Undocumented workers broke our immigration laws, and I believe that they must be held accountable — especially those who may be dangerous. That’s why, over the past six years, deportations of criminals are up 80 percent. And that’s why we’re going to keep focusing enforcement resources on actual threats to our security. Felons, not families. Criminals, not children. Gang members, not a mom who’s working hard to provide for her kids. We’ll prioritize, just like law enforcement does every day. Now here’s the thing: We expect people who live in this country to play by the rules. We expect that those who cut the line will not be unfairly rewarded. So we’re going to offer the following deal: If you’ve been in America for more than five years; if you have children who are American citizens or legal residents; if you register, pass a criminal background check, and you’re willing to pay your fair share of taxes — you’ll be able to apply to stay in this country temporarily without fear of deportation. You can come out of the shadows and get right with the law. That’s what this deal is. Now, let’s be clear about what it isn’t. This deal does not apply to anyone who has come to this country recently. It does not apply to anyone who might come to America illegally in the future. It does not grant citizenship, or the right to stay here permanently, or offer the same benefits that citizens receive — only Congress can do that. All we’re saying is we’re not going to deport you. I know some of the critics of this action call it amnesty. Well, it’s not. Amnesty is the immigration system we have today — millions of people who live here without paying their taxes or playing by the rules while politicians use the issue to scare people and whip up votes at election time. That’s the real amnesty — leaving this broken system the way it is. Mass amnesty would be unfair. Mass deportation would be both impossible and contrary to our character. What I’m describing is accountability — a common-sense, middle-ground approach: If you meet the criteria, you can come out of the shadows and get right with the law. If you’re a criminal, you’ll be deported. If you plan to enter the U.S. illegally, your chances of getting caught and sent back just went up. I want to work with both parties to pass a more permanent legislative solution. And the day I sign that bill into law, the actions I take will no longer be necessary. Meanwhile, don’t let a disagreement over a single issue be a dealbreaker on every issue. That’s not how our democracy works, and Congress certainly shouldn’t shut down our government again just because we disagree on this. Americans are tired of gridlock. What our country needs from us right now is a common purpose — a higher purpose. These people — our neighbors, our classmates, our friends — they did not come here in search of a free ride or an easy life. They came to work, and study, and serve in our military, and above all, contribute to America’s success. Tomorrow, I’ll travel to Las Vegas and meet with some of these students, including a young woman named Astrid Silva. Astrid was brought to America when she was four years old. Her only possessions were a cross, her doll, and the frilly dress she had on. When she started school, she didn’t speak any English. She caught up to other kids by reading newspapers and watching PBS, and she became a good student. Her father worked in landscaping. Her mom cleaned other people’s homes. They wouldn’t let Astrid apply to a technology magnet school, not because they didn’t love her, but because they were afraid the paperwork would out her as an undocumented immigrant — so she applied behind their back and got in. Still, she mostly lived in the shadows — until her grandmother, who visited every year from Mexico, passed away, and she couldn’t travel to the funeral without risk of being found out and deported. It was around that time she decided to begin advocating for herself and others like her, and today, Astrid Silva is a college student working on her third degree. Are we a nation that kicks out a striving, hopeful immigrant like Astrid, or are we a nation that finds a way to welcome her in? Scripture tells us that we shall not oppress a stranger, for we know the heart of a stranger — we were strangers once, too. Campaign Finance: What’s up with that?